I wanted to get my review of this palette up before the Sephora VIB sale ended in case anyone has this item on their wishlist! Hourglass released their Ambient Lighting Blushes earlier this year and they are hugely popular. 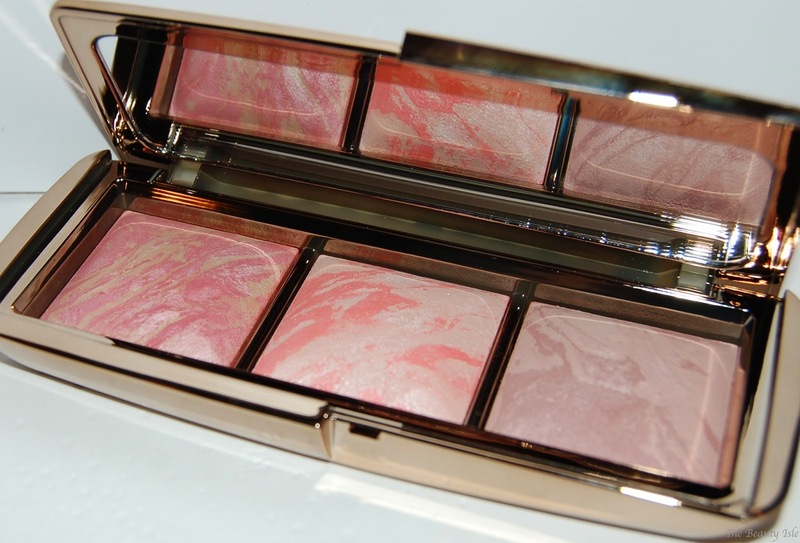 In September they released this Limited Edition Ambient Lighting Blush Palette which features 3 blush shades. Two of the shades (the ones on each end - Luminous Flush, Mood Exposure) are permanent to the collection and one (the one in the middle - Incandescent Electra) is only found in this palette. I wanted to try these blushes but one blush costs $35 while this entire blush palette is $58. Although the blushes in this palette are not full size, it's still a better deal for 3 blush shades. The packaging of these blushes is a rose gold which is pretty but fingerprints show up on it really easily. Within minutes after I got my hands on mine, it was dirty with my fingerprints all over it. 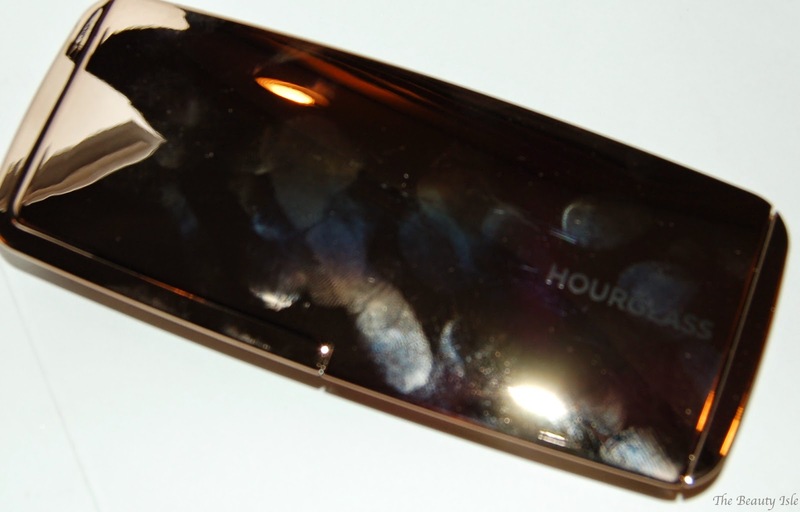 I tried the Hourglass Ambient Powders last year and I wasn't impressed (full review HERE). Although I wasn't impressed with the powders, I still wanted to try the blushes (yes, this is a little silly but it's the beauty blogger in me!). These blushes are baked with their respective Ambient Powders. For example, the blush Luminous Flush is mixed with the Luminous Light Ambient Powder, Mood Exposure is mixed with the Mood Light Ambient Powder, and so on. As you can see from the photo, each blush has Ambient Powder veining through it. For this reason, no 2 blushes of the same shade will be exactly the same. The blushes that have less Ambient Powder veining through them will be more pigmented in color. All 3 of my blushes are pigmented. I didn't think the middle blush would really show up on me because it's so light but it shows up fine. These blushes swatch beautifully. According to the description, the Ambient Lighting Blushes are supposed to give a "soft-focus multi-dimensional" look. Just looking at these blushes in the palette you'd think it would give off a gorgeous sheen on the face. That does not happen. It looks like a regular blush, there is no sheen on my face at all or any sort of a "multi-dimensional" effect. In fact, just looking at me wearing them, if you didn't know, you'd have no idea that these blushes are mixed with Ambient Lighting Powders. Not only that, on my skin tone the 2 end colors look exactly the same. To test this out, I applied a different color to each cheek one day and looked at myself in various kinds of lighting. There was no noticeable difference. However, I'm sure that people with fair skin would be able to see a nice difference. 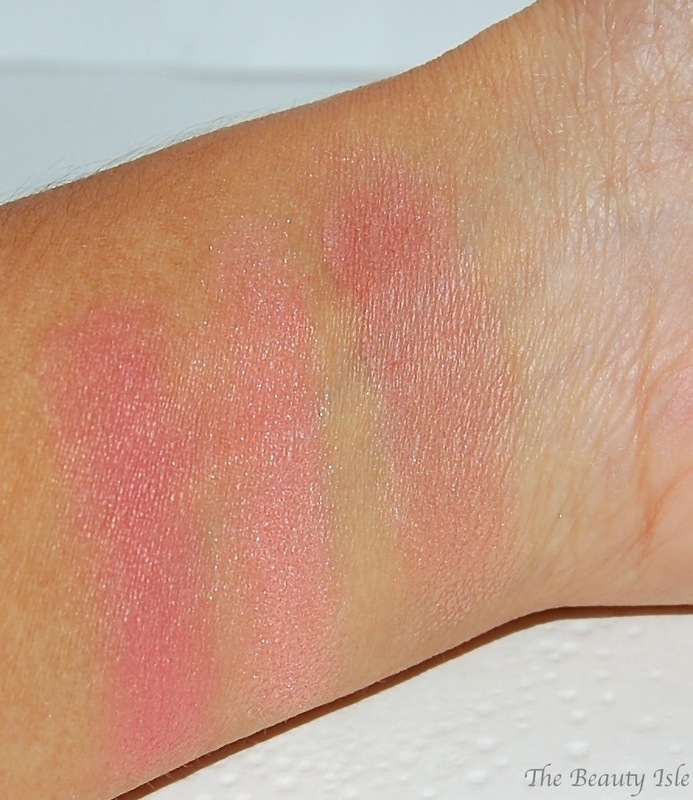 The quality of these blushes is great, they are easy to blend and pigmented. The Hourglass Ambient Lighting Blush Palette would be nice to have in your collection but it's not a must-have in my opinion. If you are anything darker than fair, then I'd recommend to just get a single blush if you really want one. To be honest, I may actually return this palette. For $58, I want to be able to see 3 different shades of blush on me and those blushes better be gorgeous! I know this may be the only non-raving review of this palette but I always give my honest opinion. As I said, these are nice blushes, just not amazing on me. Do you have any Hourglass Blushes? What do you think?